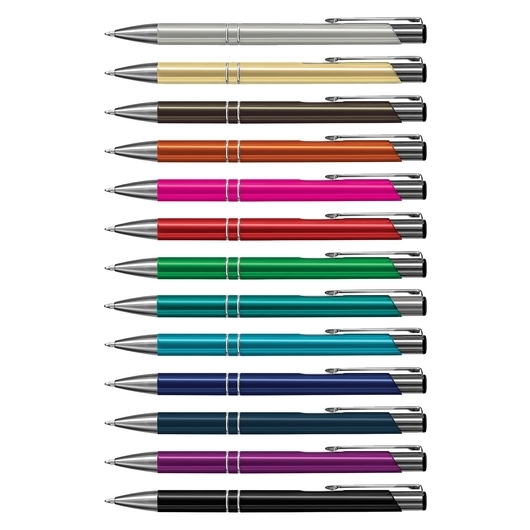 One of our most popular metal pens, coming in a wide range of exciting colours. You can always rely on these pens to be a promotional hit. 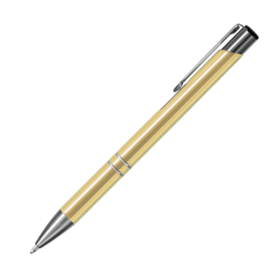 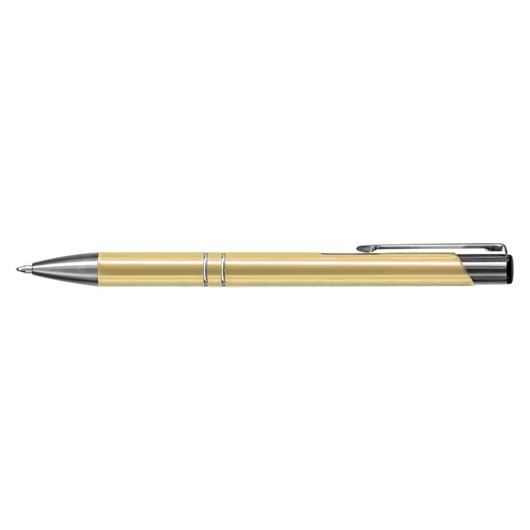 They come in a large range of stunning colours are an aluminium ball pen with shiny anodised coloured barrels or a matt anodised silver barrel, all of which have shiny chrome accents. 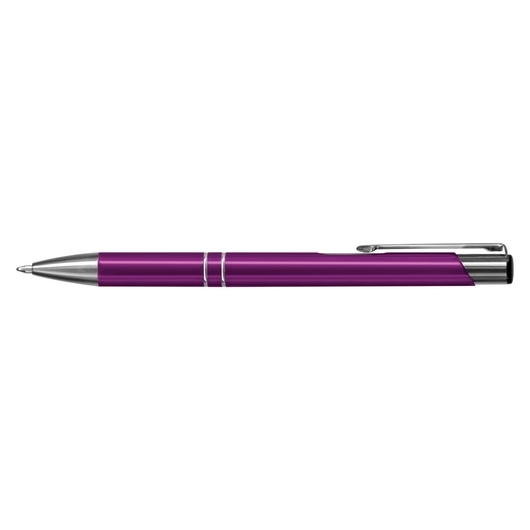 They host a 1200m black ink cartridge with blue available for an additional cost. We can supply these with an optional velvet sleeve or gift box. Laser engraving is our recommendation for decoration (oxidised white colour).